Tea has been around for centuries. Tea-bags though are a surprisingly recent innovation, yet today account for 90% of the tea market in the United States and 96% in the United Kingdom. For the increasing number of consumers that don’t want plastic with their tea – sustainable tea is possible – from tea-bags to tea packaging! From when it became popular as a recreational drink during the Chinese Tang dynasty, to today when it is perceived as one of Britain’s iconic cultural beverages, tea lovers around the world will agree, life looks better with a nice cup of tea! A nice up of tea with a side of plastic? Not so much. Tea is sold either as loose tea leaves or packaged in tea bags. The fact that there is plastic in tea bags wasn’t well known and didn’t become an issue of consumer concern until 2017 when Mike Armitage, a gardener in Wrexham in the United Kingdom, found that tea bags left a plastic residue after being composted. An estimated 165 million cups of tea are drunk in Britain each day, with many tea brands using polypropylene – a heat-resistant plastic sealant – to help tea bags keep their shape. Pukka Herbs has replaced their polypropylene adhesive with cotton thread, resulting in an entirely compostable tea bag. The petition that the composting gardener from Wrexham started urging Unilever to remove plastic from their PG Tips tea bag production quickly gained traction with more than 200,000 people signing it. In January 2018, Co-op Food became the first retailer to find a solution to the problem of plastic waste caused by the Britain’s favorite beverage, announcing that they were removing plastic from their own brand 99 tea bags in conjunction with their supplier Typhoo. In February 2018, PG Tips too switched to tea bags that did not contain plastic. Cotton comes to the rescue as a proper alternative to the plastic sealant. 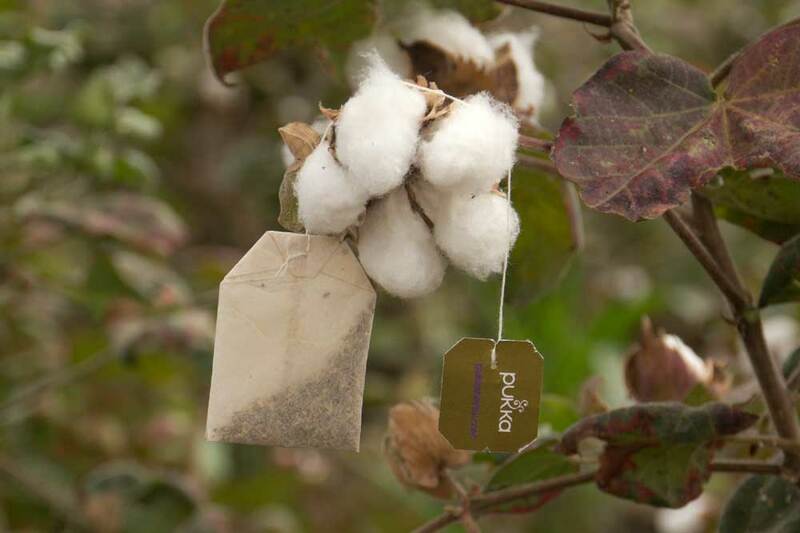 Pukka tea has begun sewing their tea bags shut with cotton thread as a means of avoiding polypropylene. Tea lovers want a sustainable and guilt-free brew from the product – be it loose leaf or in a tea bag – to package. 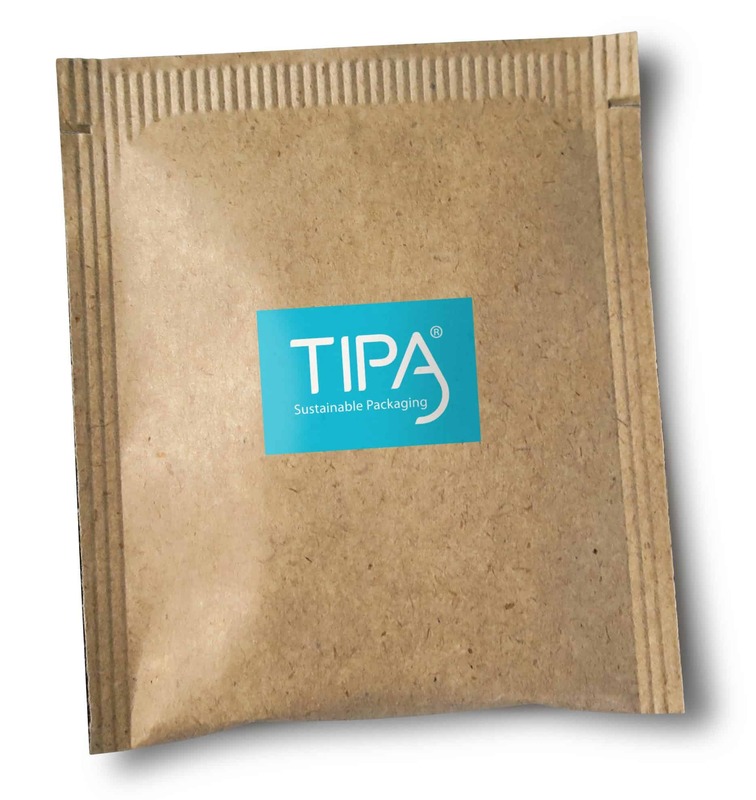 The petition started by Mike Armitage secured home compostable tea bags as an option from major brand owners, but the issue of composability of the packaging, home or industrial, largely remains. As is so often the case, smaller brands offer great use-cases and innovative inspiration. Arbor Teas in Ann Arbor, MI, were early adopters of sustainable and compostable packaging, and were the first company in the United States to offer their full line of organic loose teas in home compostable packaging. Because of greater variation in moisture and temperature, backyard composting environments have historically not been able to break down industrially compostable packaging materials, such as corn-based plastic cups and take-out containers. However, since the material in Arbor Teas’ packages requires a less optimized environment for biodegradation, it can be composted at home, meaning that tea drinkers were for the first time able to compost their tea leaves AND tea packaging together in their home composting systems! 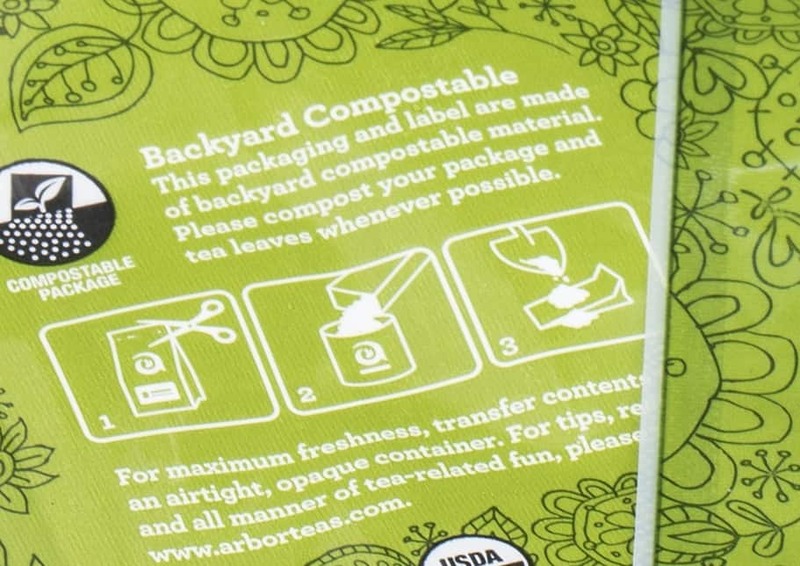 The home compostable packaging used by Arbor Tea is lighter than the company’s preceding packaging (paperboard tube and kraft bag), with the result that they were able to reduce the weight of their packaging materials by more than 60%, while also increasing the amount of tea contained in each package. According to the company website, Arbor Teas packages now contain 27% more tea than they did previously. The result? More tea and less packaging! PreviousPrevious post:China Turned Recycling on its HeadNextNext post:How many plastic white fences do we really need?